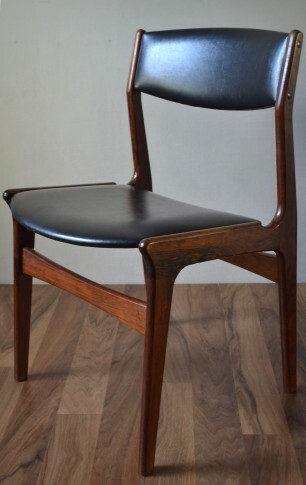 A stylish chair by Dyrlund of Denmark. 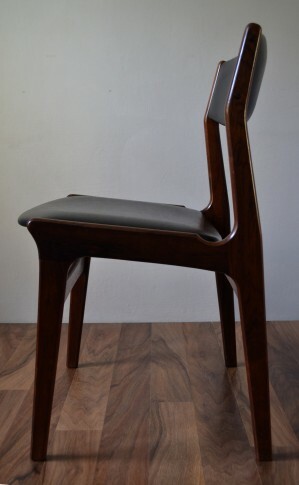 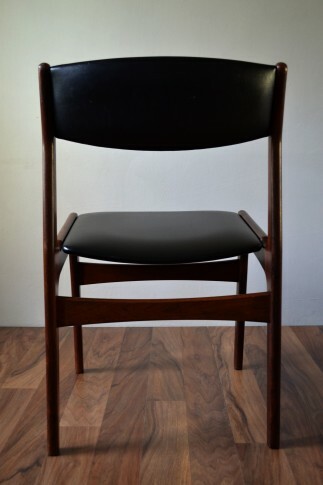 Original mid-century design with teak legs and frame, black padded leather back and seats. 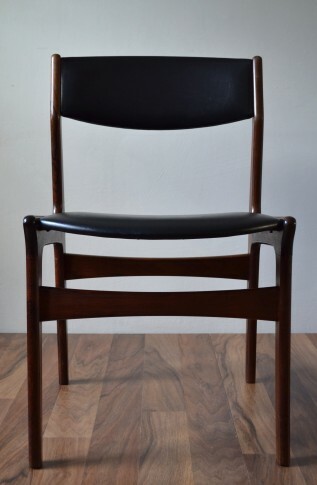 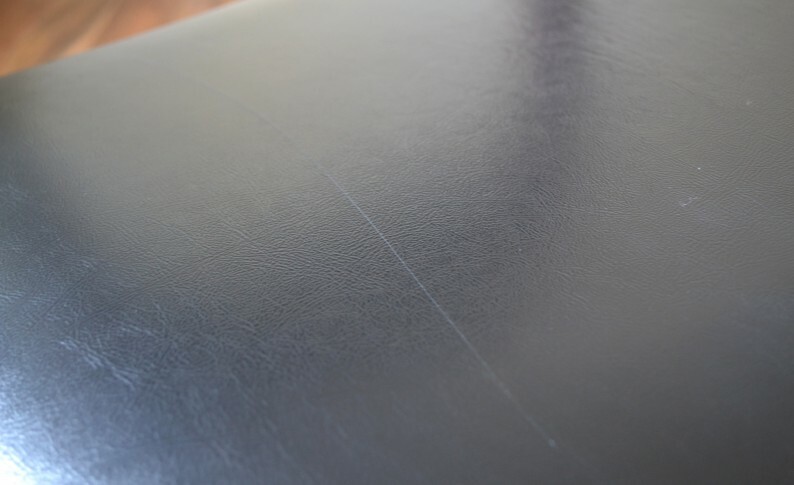 Very sleek chairs in overall good condition to the frame, some minor signs of wear. 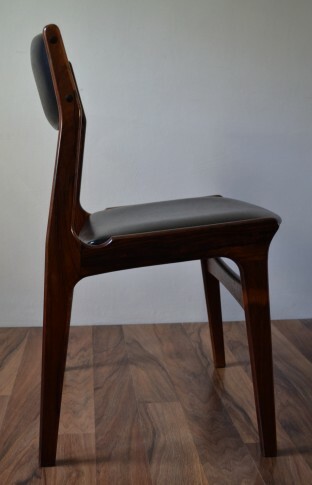 Please inspect photos carefully.